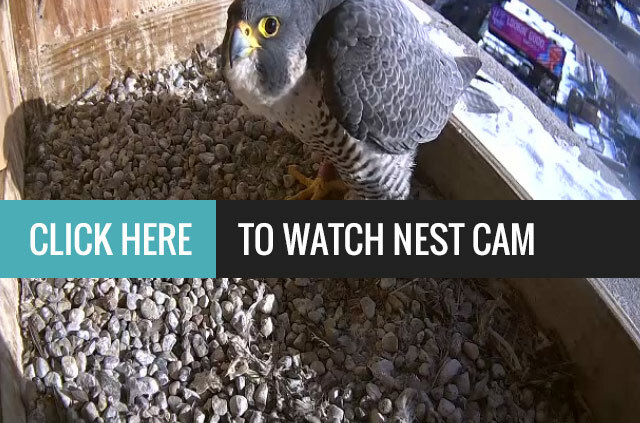 Follow as often as you like to see the Peregrine Falcons up close by clicking on the links below. The two camera views update with static pictures every 5 seconds. To catch a video with sound, check out our video archive.